Today, NATO finds itself in a new global constellation of powers and in a new and increasingly complex and interdependent securitized world. The contemporary NATO, essentially a transatlantic military organization whose core mission is collective defence, has indeed extended its boundaries to meet the expectations and needs of the 'international community' and become a global security provider. While safeguarding the security and stability of its members, NATO has gradually adapted to the immense changes in the security dilemma narrative and is gradually moving from regional to global risk manager, in line with non-linear security challenges. The Alliance has become 'a hub and a network of security partnerships' and a centre for consultations on global security issues. But in its new role, NATO has encountered numerous challenges, the majority of which are not military in nature. The North Atlantic Treaty Organization's core mission is 'to safeguard the freedom, common heritage and civilisation of (its) peoples,'... and to '... resolve to unite (its) efforts for collective defence and for the preservation of peace and security.' The North Atlantic Alliance has maintained its position as the world's only effective military organization: we may thus expect it to remain much in demand for any future 'constructive military intervention' anywhere in the world. The Alliance is not immune to the balance of power in international relations. Since the turn of the century, power has shifted from Europe to the Atlantic and Pacific, while the rise to global prominence of three Asian powers, Japan, China and India, has made the 21st century an Asian one. However, more recent criticism has focused on a leaderless multi-polar world, known as the G-O. According to J. Nye, since the balance of power is shifting along parallel lines, power is fluctuating between governments and non-governmental actors, who are seeking "power with others and not over others". This new competition among the great powers is defining the future of the international system and its institutions and poses new challenges for international security. In this hyper-competitive world, it is essential to build strong militaries, as well as strong alliances, which will ensure stability in world affairs. International peace and stability are increasingly challenged by the complexity of risks and threats, while pressing concerns need to be addressed collectively. Nevertheless, the realist's fundamental argument that the balance of power and national interest underlie international relations is still valid. The balance of power in international relations is strongly reflected in the tensions between the international organizations and within their respective bureaucracies. There can be no doubt that we live in an era when open dialogue between the international organizations is limited and therefore hampering the international community's ability to achieve sustained global peace and stability. Just as in the security dilemma theory, which attempts to identify the general dynamics underlying the outbreak of war or the maintenance of peace, in international relations too there is no agreement on what constitutes a security risk. Similarly, in the international environment, power is spread between a variety of state and non-state actors, and thus the contemporary security agenda increasingly focuses on risk management, which is unfortunately basically reactive and not what one would expect from a pro-active strategy. As the stakeholders' peace and security efforts are not coordinated, national, international and moreover global security are consequently compromised and need to be balanced anew at the global level. Neither nations nor international organizations have an overarching strategy to meet challenges of a linear nature, e.g., globalization, economic crisis, regional competitiveness, lack of resources, and no common strategy when addressing non-linear global security threats like illicit trade, organized crime, terrorism, the proliferation of weapons of mass destruction, cyber security, etc., all of which are bound to loom larger in the future. The more national security is compromised by these truly global and complex security challenges, the more the notion of collective security and alliances will gain importance. And this of course also applies to NATO. Investing in NATO means investing in security, a pre-condition for economic stability and sustainable development. Non-linear threats generate instability, discontinuity and unpredictability. Additionally, the responses of non-linear systems are disproportionate. International organizations are designed for linear situations and predictable behaviour and thus no mechanisms are in place to enable them to adapt successfully to changing circumstances. Continuous reform has transformed NATO, enabling it to engage in effective crisis management, and thus remain the only credible military actor able to deal with the excesses of the 'realists' world'. Risk management has become a necessary policy and a major tool and strategy in NATO security practices. NATO continues to play its unique role in ensuring the common defence and security of its members while at the same time remaining an essential source of global stability. Out of necessity, NATO has gradually assumed an increasingly complex global role as a security provider, not only for its populations, but also globally. As an ever more important hub of cooperative security, it is the only actor able to implement, if unavoidable, the military measures necessary to protect 'a common global community'. 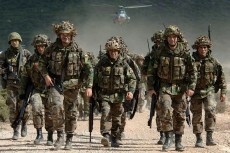 NATO, though shaken by the economic crisis, continues to play an important balancing role in global power politics. Brzezinski maintains that although the NATO of the 21st century is the world's most important military alliance, that does not mean that NATO will grow into a global alliance. However, NATO has the experience, the institutions and the means to eventually become the hub of a range of security partnerships and a platform for consultations on global security issues which would allow various cooperative security undertakings among states able and willing to act. NATO's Secretary General, Fogh Rasmussen, stated earlier this year that the Alliance would 'continue to respond to crises whenever, and wherever, the Allies judge their security interests are at stake'. Yet, we are cognisant that none of the existing security challenges can be solved with military means alone. As any instability has lasting multi-dimensional societal effects, a wide range of means, other than military, need to be in place. 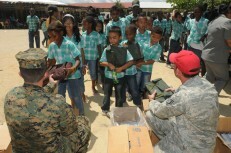 While credible military capabilities remain indispensable for dealing with the complexity of any conflict situation, a coordinated civil-military effort by the international community is required to achieve sustainable security and stability. Inevitably, civil capabilities will have to be included throughout the entire crisis management cycle. The NATO Strategic Concept has charted three "essential core tasks": collective defence, cooperative security, and crisis management. As a military organization, NATO remains the international community's main risk manager, the main actor when a crisis escalates into an armed conflict and military means are the only way of achieving peace. Although NATO debated and then implemented its own model of 'Comprehensive Approach', especially in Afghanistan, emphasizing its indispensability as a tool for crisis resolution, it never anticipated taking the lead in the complex implementation of the Approach. Although the Strategic Concept underlines the Alliance's resolve to use its 'robust set of political and military capabilities to address the full spectrum of crises before during and after conflicts', NATO does not have at its disposal all the means necessary to address the root causes that caused the instability in the first place. While our discourse has become global, nation-states are still mostly concerned with their own national security. Nevertheless, global interdependence means all states have a stake in global peace. The quest for global stability should respond to the questions 'What causes and motivates conflict and what can end it?' or 'Can conflicts ever 'end' and what weight is to be given to the different factors inherent in the causes and outcomes of conflict'. While peace and security are indivisible, in meeting the new global security challenges the international community must work together. Sustainable peace is not feasible without a commonly coordinated effort to avoid post-conflict recovery being unsuccessful and torn societies relapsing back into conflict in a decade. Thus, the deployment of a wide range of civil and military instruments during the crisis cycle is crucial and crisis management can only be successful if those means are deployed in a complementary and coordinated manner. As new security dilemmas arise, the main question remains: 'How can the international community cope with the new transnational security challenges in an orchestrated manner?' The 'international community' has no mechanism in place to seek out synergy of effort in crisis response operations or to address the whole spectrum of a crisis involving various actors. As there is no single entity capable of synchronising, de-conflicting or further coordinating the efforts of the different actors when crisis management transitions from the pre-conflict to the conflict resolution and post conflict phases, the results remain poor, despite the enormous efforts of numerous players. It is important that NATO respond only militarily, as the reconstruction of a torn society should not be part of a military undertaking. NATO's recent missions are known to have been too ambitious although they should always remain part of a Comprehensive Approach to crisis management once they go beyond simple Peacekeeping. 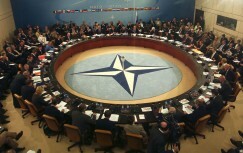 It is a fact that NATO will be called upon in the future to use its 'unique conflict management capacities, including the unparalleled capability to deploy and sustain robust military forces in the field'; the rest of the crisis management cycle should be addressed by those international organizations that have a comparative advantage in aspects other than military. Why is the 'Comprehensive Approach' still needed? As stated above, the changing nature of security risks and threats forces us to adapt and find new ways of cooperating with other compatible regional and global actors. Different actors make different capabilities available, they strengthen the credibility of the receiving nation, offer a wide spectrum of experience as well as access to the expertise necessary for successful state building and sustainable development. There are no longer any purely military operations; the civilian and military components must proceed virtually simultaneously. What kind of strategy is needed if the international community is to have all these necessary elements at its disposal? NATO remains central to the promotion of global stability. Its experience would enable it to take on an advisory or assistance role in future coalitions during the entire crisis management cycle. In Afghanistan, NATO has played an important part in implementing a comprehensive approach on an ad hoc basis. The problem was that NATO had no appropriate strategy and lacked the military resources to do the job properly. Although NATO was deployed for the massive surge in all aspects of crisis management, it is still the economic, social, political conditions which will shape the outcome of the crisis. The 'Stakeholder Theory', the World Economic Forum's guiding principle, is based on the belief that a "business" must ultimately serve the needs not just of shareholders but of all stakeholders in the global society. Just as every business is accountable for its results, the same principle should also apply to the 'business' of international security guarantors. By developing new ways of addressing contemporary security challenges in a global order which includes greater geopolitical risks, we may be better able to anticipate, prioritize, mitigate and respond to any occurring threats to security. Coordinating and allocating resources more prudently and avoiding duplication would minimize the negative effect on societies in the post-conflict stage. Proper risk management reduces spending and further minimizes the risk of 'undesirable effects', not to mention its importance in times of on-going economic crises when nations are turning inward and defence budgets are at a minimum. Disclaimer: The views expressed in this paper are the responsibility of the author and do not necessarily reflect the opinions of the NATO Defense College or the North Atlantic Treaty Organization.